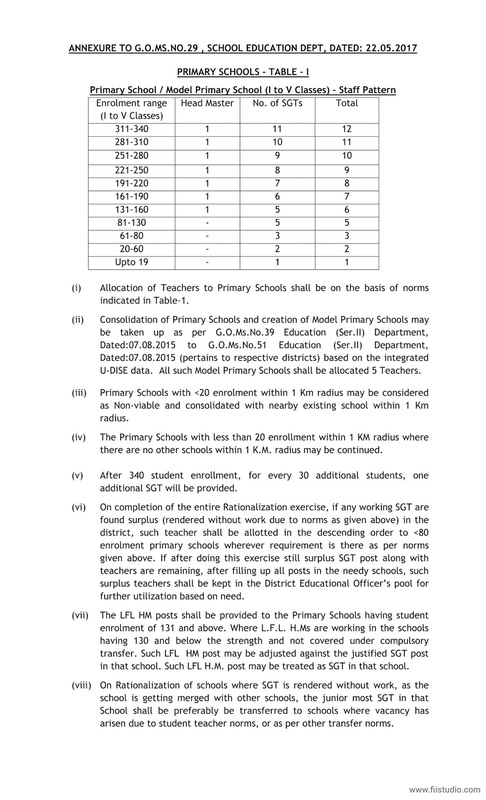 AP School Education - Norms for Rationalisation of Schools, Posts and Staff under various managements (viz.) 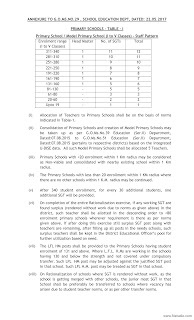 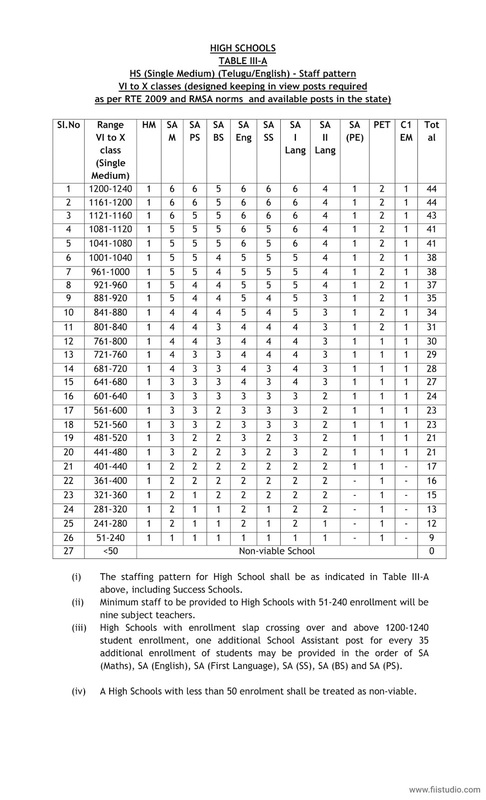 Government, Zilla Parishad, Mandal Parishad Schools – Orders - Issued. 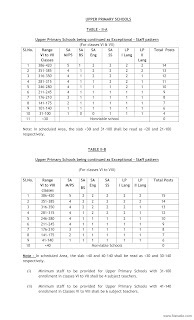 Government vide G.O.Ms.No.55 Education (Ser.III) Department, Dated:23.04.2011 and G.O.Ms.No.61 Education (SE-SER-III) Department, Dated: 16.05.2011 have issued norms for Rationalization of Schools, Posts, and Staff under various managements (viz.) 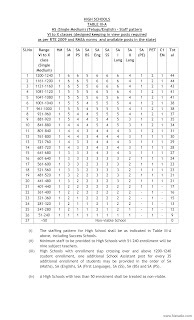 Government, Zilla Parishad, Mandal Parishad, Municipal Schools. 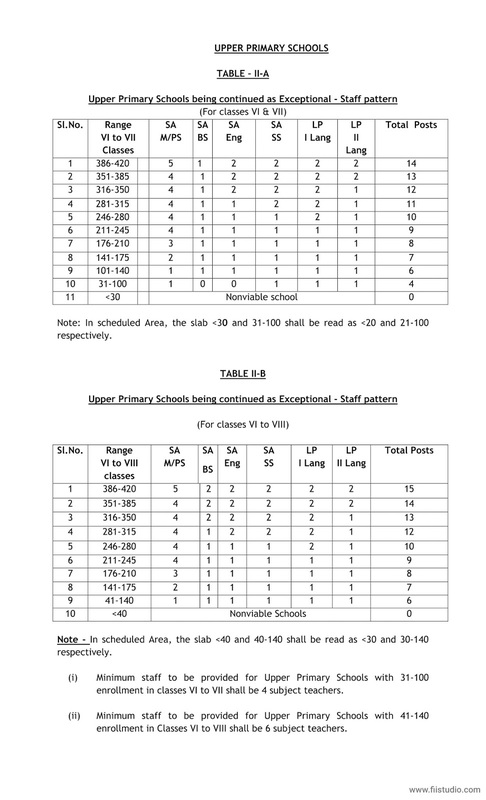 It is found that, there are still some schools with higher student strength visà-vis the sanctioned teaching posts and on the other hand there are some schools with uneconomic strength of students having more teachers.